As a young man, while living in the western state of Utah in the United States, I read a fascinating copy of David S. Boyer’s (December 1958) archived National Geographic article entitled, Geographical Twins: A World Apart. As I read, I felt as if I’d been adopted into a long, lost family. I knew the day would come that I’d leave the younger of those twins (my hometown of Salt Lake City, Utah) to reunite my heart with her older sibling in the Holy Land that is Israel; never would I have believed at that young age that it would be as a tour guide of the region. Israel and Salt Lake City, Utah twins? Boyer’s article aptly details some of the irrefutable likenesses such as each boasting: heightened and lessened elevations in the area, rich natural resources, fertile farmlands flanked by desolate salt flats, fresh water lakes connected (interestingly enough, both by a river named “Jordan”) to dead, salty seas, and the list goes on and on. I tell folks preparing to come with me to Israel that there are at least four must-see regions/experiences in this area. Perhaps some detail from each region will entice and edify those who are teetering on a visit. Arrival (for westerners at least) in Israel comes from the Mediterranean seaside of the country. Most, and we’re no exception, fly in to Tel Aviv’s Ben Gurion Airport. The airport is clean and modern and welcomes the world through this constant cradle of travelers. Whether during one’s arrival by air or while distancing from the airport, each offers inviting glimpses of the Mediterranean Sea. Seaside lifestyle abounds in this region of Israel. Sand, surf, beach-goers, fun and costal beauty are staples of the terrain. I’ve been to coasts around the globe and Israel’s shores are much like any other – peaceful, soothing, and restorative. We frequent ancient Joppa (modern day Jaffa or Yafo) on this leg of the trip. As an extension of Tel Aviv, Yafo is both historic and modern at the same time. One can hear timeless calls to prayer from the minaret while gazing at spectacular sunsets. Other notable stops along the coast include Caesarea Maritima (one of many surreal, standing relics from Herod the Great’s prolific building prowess), modern day Haifa (with its tech heavy work ethic focus coupled with wonders like the Bahá’í Gardens) and even a college-feel as found in Netanya (named for Jewish American, Nathan Strauss) which has been one of the most recent of the coastal towns to be populated. Oriental (or Eastern, as in, “We Three Kings of Orient Are”) verses Occidental (or Western, as in, “Excuse me, but there isn’t any ice in my drink”) ways of living, speaking and defining is always a challenge when in Israel. Put simply, when in Israel, Western words and thoughts must give way to Eastern culture, language, and customs. Sometimes it’s good to have a “conversion chart” of sorts. For example, as a generalization, “mountains” in the Middle-East are like “hills” in the United States; “valleys” are akin to ravines, and “seas” (Mediterranean as a prime exception for sure) are like “lakes”. 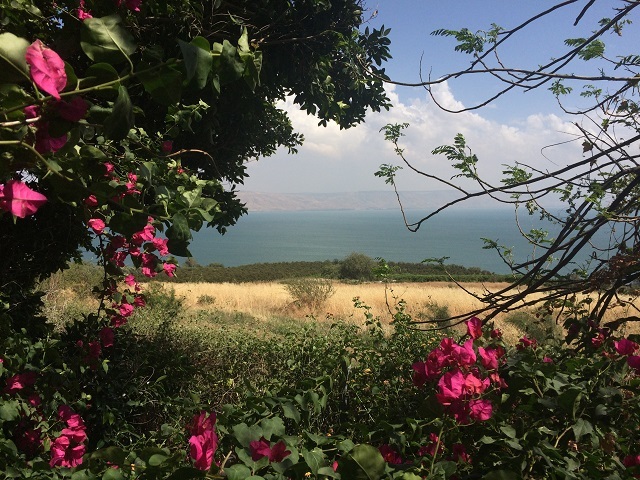 To call the Sea of Galilee a true western visual of a “sea” would be to call Mt. Vernon – well, “Mt. Everest”. Indeed, the lake (named Tiberias, or Kinneret, Lake of Gennesaret or Galilee) is, on a clear day, almost small enough to see shore to shore on all sides. 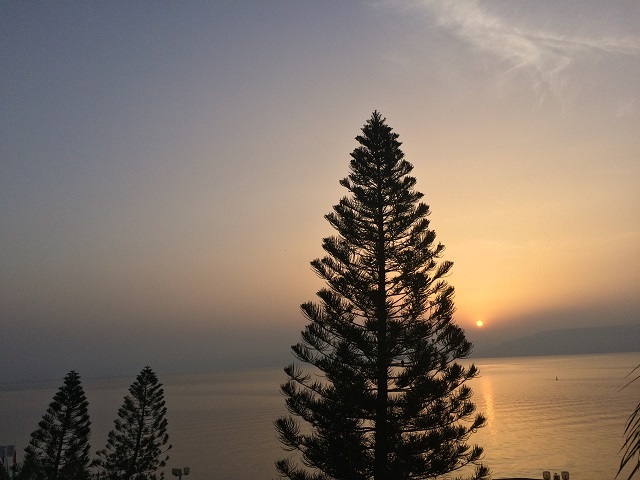 And those views can be spectacular, especially at sunrise as even the trees, waves and clouds appear to give obeisance to the east-rising morning sun. Yet, despite its mini size, this region boasts a near constant flow of visitors. 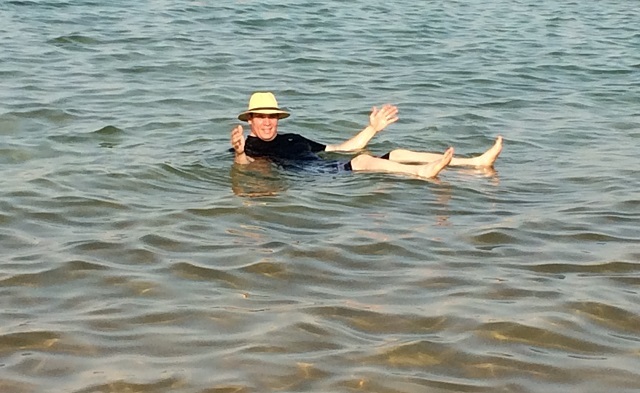 Where Joppa was “beach life”, Tiberias is spending days at “the lake”. However, this isn’t just any ol’ lake. Most visitors come for the historical and faith-based focus of “walking where Jesus walked”. Out trips from Tiberias include many half day or day trips to locations of historical and spiritual import to their visitors. Highlights of some of the lakeside New Testament sites include Tagba (traditional location for the multiplication of loaves and fishes and where Simon Peter fished), Magdala (thought to be the home of Mary Magdalene), Capernaum (where Jesus was “in the house” – KJV of Mark 2:1), and the picturesque Mount of Beatitudes or traditional location of Jesus Christ’s Sermon on the Mount. and Qumran (site of the found “Dead Sea Scrolls”) adorn hillsides while the Dead Sea looms nearby below each. The Dead Sea has become a draw for spa hounds worldwide. A float in this seemingly curative and revitalizing water is a must. City life mixed with religious and racial tensions is the unfortunate rap that has been affixed to Jerusalem in the state of Israel. The truth is far from those extremes on a day to day basis with the wonderful people you’ll meet and interact with while in this iconic city and country. That said, if the aforementioned tensions exist, Jerusalem is (and always has been) at its heart. Three of the world’s major religions trace their roots to this fortress in the “mountains”. Judaism, Christianity and Islam all trace this spot to their “Father Abraham” as the land given of God to him and his posterity. “The Temple Mount” (Mt. Moriah) which is also the location of Islamic holy shrines and mosques (The Dome of the Rock and Al Aqsa respectively). 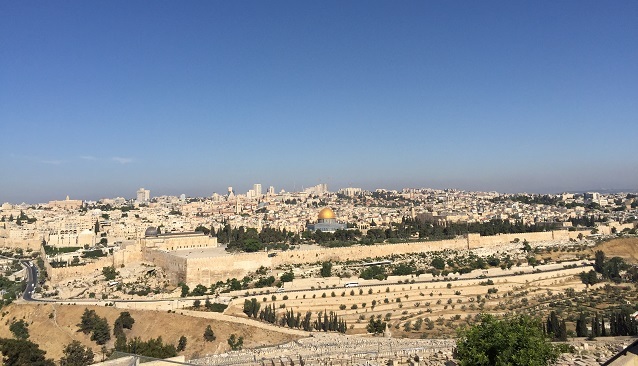 Gethsemane, The Garden Tomb and The Church of the Holy Sepulchre (sacred locations to Christians worldwide as the locations of the suffering and salvation of Jesus Christ). Hezekiah’s Tunnel (of Old Testament era fame) wherein water was brought into the city millennia ago.
. . . and the list goes on and on . . .
Israel is like no other place I’ve been on earth. Its diversity of peoples, geographies, cultures, languages, foods and experiences seem never ending. Many feel this location to be the navel of the earth and it’s plain to see why. This land, considered holy by so many across the globe, is truly a “world apart”. Though it shares a geographical likeness with a modern sibling in Salt Lake City, Utah, it offers its own ancient and storied past with a host of regions and adventures that make it an obligatory destination for any serious traveler.